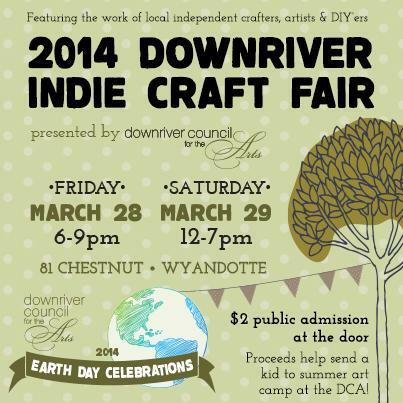 Saturday, March 29, 2014 12-7 pm at the DCA building at 81 Chestnut in Wyandotte. All three floors of the building, including a theater and two galleries will also be open to shoppers during the fair, and there are 40+ indie crafters and artists to check out. Admission is $2 and proceeds help send a kid to summer art camp at the Downriver Council for the Arts. It also happens to be Wyandotte Restaurant Week through the weekend, so you can make a whole day of it with your family or a date! 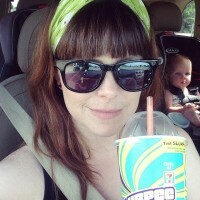 Look out for Handmade Detroit’s Carey (Glass Action) and Bethany (Reware Vintage) and say hello! For more information and features on the selling crafters, check out the Facebook event page.